Precision Resources has achieved Approved Vendor status with major aircraft and aircraft systems manufacturers such as Boeing, Goodrich, Northrop-Grumman and Parker Hannefin. In addition we are approved by numerous tier-two Aircraft parts and systems manufacturers, Medical-Device firms, and Commercial and Industrial product manufacturers. Our Quality System currently conforms to Mil-I-45208A. We audit our quality manual annually, as well as subjecting our system to random audits. As part of our continuous improvement process, we are currently gearing up to implement AS9100. Copies of our quality manual are available to potential customers upon request. • Calipers to 40", 30"
At Precision Resources, our experience has taught us that quality begins long before the first cut is ever made. Our dedicated team analyzes each job to insure that quality is built in as value is added. Every part we produce is thoughtfully planned with careful consideration given to lot size, cutting tool selection, manufacturing sequence, tooling requirements, machine tool selection, and heat treat and processing requirements. 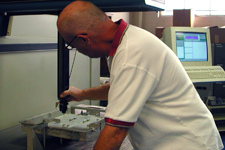 Each operation in the routing is fully documented and reviewed by our quality department for accuracy. 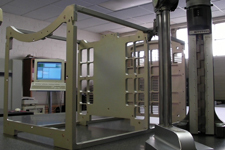 During manufacture, the router serves as a permanent record, documenting each step in the process as well as first-article and in-process inspection points. at the final inspection stage to insure the quality of your products. Our Quality department staff is always available to assist shop personnel with inspection setups at the machine to guarantee that any potential issues are discovered before they become problems. All outside processing is performed only by Approved Vendors who share our commitment to quality and with whom we have long-established working relationships. 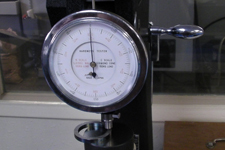 At Precision Resources, Quality is not just a buzzword.